Text printed by letterpress in English, Italian, and Portuguese. Book dimensions 11"1/2 x 15" x 1". "All aspects of this beautifully constructed book - from the linoleum cut print on the cover, the letterpress printing to the binding, were done by the artist, and is an ode to the book form itself. 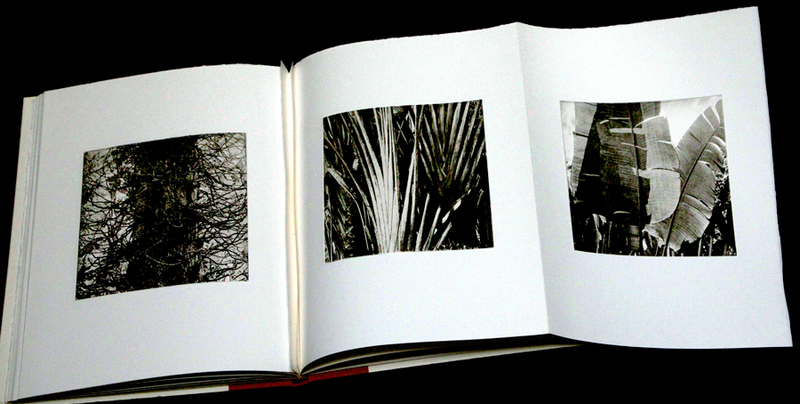 At first glance this work appears to be a photo travelogue of Rio de Janeiro, its pages constructed to allow a three-frame panoramic view of various locales within the city. 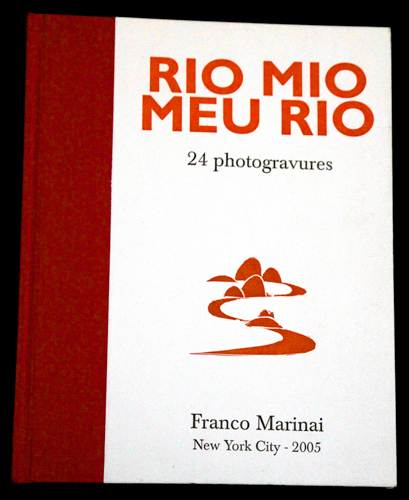 However, as stated in the book's introduction, Marinai associates this work with the time he had spent as a volunteer salvaging and restoring books that were damaged during the devastating 1966 flood of the River Arno in Florence. This book, therefore, establishes an elegiac link between the two cities juxtaposing the notion of destruction (from the flood) with the actual construction of the book itslef: a relationship alluded to in the subtle title of this powerful work." 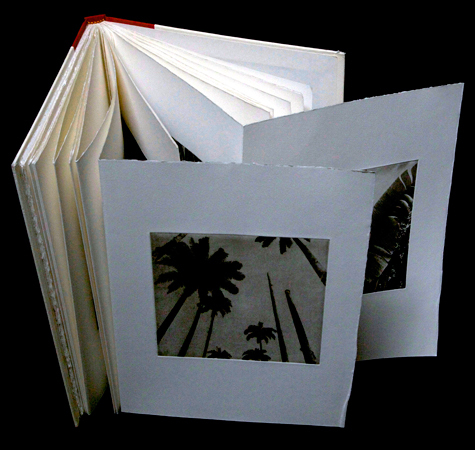 from "MULTIPLE LIMITED UNIQUE - SELECTIONS FROM THE PERMANENT COLLECTION OF THE CENTER FOR BOOK ARTS"